The links take you to the acts' listings on SXSW; if there's no link, they're not currently on the SXSW site, which means they're playing an unofficial show or showcase. The site is still being updated, though, so they may turn up there soon. Big thank you to Scott Robbin for his help obtaining the data for this post, and to Pop 'Stache for their help tracking unofficial acts. Alligator Records celebrates its 40th anniversary with a showcase on March 16 at Speakeasy featuring Smokin' Joe Kubek & Bnois King, Guitar Shorty and Marcia Ball. Pitchfork is taking SXSW by storm this year, with an official showcase March 15 at Emo's and an Austin edition of its #Offline series March 17-18 at the East Side Drive-In. The Smith Westerns will be the opening act at #Offline. The 16th annual Bloodshot Records Party is March 18 at Yard Dog Gallery, with Whitey Morgan & the 78s, Ha Ha Tonka, Waco Brothers, Eddie Spaghetti, Exene Cervenka, Maggie Bjorklund w/Cobirds Unite & special guests, Ben Weaver, Lydia Loveless, FREAKWATER and Carolyn Mark w/the Jack Grace Band performing. The fun kicks off at noon, and it's free for everyone, no wristband or badge required. 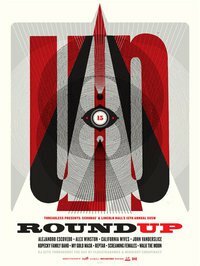 Bloodshot's official showcase March 19 at Red Eyed Fly, featuring Lydia Loveless, Maggie Bjorklund w/Cobirds Unite & special guests, Exene Cervenka, Eddie Spaghetti, Waco Brothers, Ha Ha Tonka and Whitey Morgan & the 78s. Label acts perform throughout the festival; details here. Schubas and Lincoln Hall team up once again with Threadless for the 15th annual SXSW Round-Up March 17 at Yard Dog Gallery. The party starts at noon, with Alejandro Escovedo, Alex Winston, California Wives, John Vanderslice, Kopecky Family Band, My Gold Mask, Reptar, Screaming Females and Walk the Moon, plus DJ sets by Flosstradamus and Midnight Conspiracy. It's free and 18+. Bottom Lounge, CHIRP and Lawyer4Musicians.com host an SXSW send-off show on March 12 at the Bottom Lounge with Blah Blah Blah, The Idle Hands, Elephant Stone, Big Science, Scott Lucas and the Married Men and California Wives. They'll also be hosting two unofficial day parties in Austin, themed by genre: The hip hop showcase is March 18 at Aces, featuring EPMD, The Cool Kids, Ninjasonik, Doomtree, Shad, Rockie Fresh and Audiodax. On March 19, the rock showcase at Long Branch Inn features The Idle Hands, Blah Blah Blah, Elephant Stone, Empires, Big Science, California Wives and Scott Lucas & the Married Men. Hozak Records is doing a free two-part showcase on March 18. The first half is at Beerland from 1pm to 6pm, featuring Mickey, Heavy Times, Outer Minds, People's Temple, Fungi Girls, Xray Eyeballs, Squish and Shrapnelles. At 6:30pm, the action moves to Cheer Up Charlies, where Rayon Beach, Women in Prison, Radar Eyes, Teepee, Sleepovers and Reading Rainbow perform. Lastly, JBTV and Threadless will be hosting three days of free showcases, featuring more than 40 acts, mostly from Chicago. Check out the full schedule here. Know of any Chicagoland acts heading down to Austin to perform unofficial shows that we've missed? Did we miss a showcase? Let us know in the comments. And stay tuned for live coverage of the festival! Candy Golde (Nick Tremulous, John Stirratt, Rick Rizzo, Bun E Carlos, and Mark Greenberg) play on Friday night March 18th at Club de Ville as well as Sunday March 20th at Hotel San Jose with Alejandro Escovedo. Also, Eleventh Dream Day (with James McNew of Yo La Tengo filling in on bass!) plays Saturday March 19th at the Yard Dog party along with Steve Wynn & The Miracle 3, The Baseball Project, the Minus 5, Jon Langford & Skull Orchard, The Autumn Defense, Mark Eitzel, The Slummers, & Calibro 35 (from Italy). @George: Gah! I knew I forgot to include something! @Mark: Thanks -- great news about Eleventh Dream Day, I'll add them to the post. There even MORE acts performing too. Some known some unknown. Chicago will be well repped in Austin. 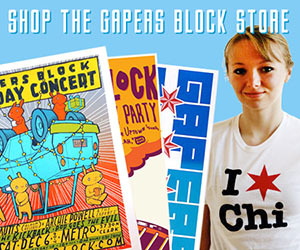 Hey Gapers Block, dont forget The Billions Showcase and Party! Official Billions SXSW Showcase – Friday, March 18 at Antone’s. @Hustle: Give us some less cryptic details and I'll add it to the list! 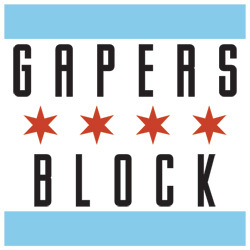 Email ah@gapersblock.com. @Shira Thanks, I'll add it. I really like seeing the list of Chicago artists. I have a tangent thought here. For years I've been looking for an online streaming radio station that plays only Chicago-based artists. Is there any such site in existence? Sorry about that I meant Saturday the 19th! 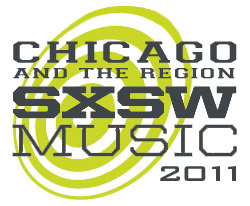 Chicago's Verona Red is also playing at SXSW, at Emo's Ides of March Day Party showcase on Tuesday, 3/15 at noon! Zola Jesus is playing an exclusive (& free!) Stereogum/Broken Bones showcase on Saturday!